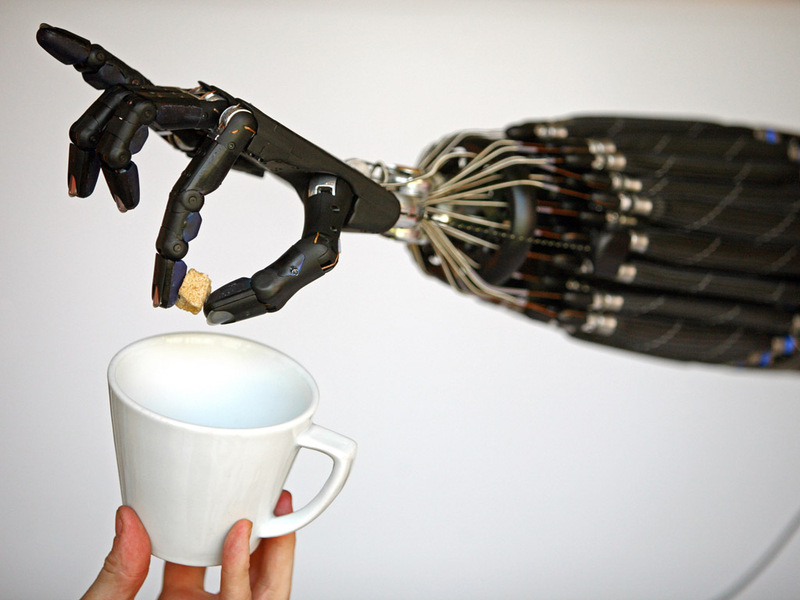 The Shadow Hand is one of the most advanced robotic hands in the world. 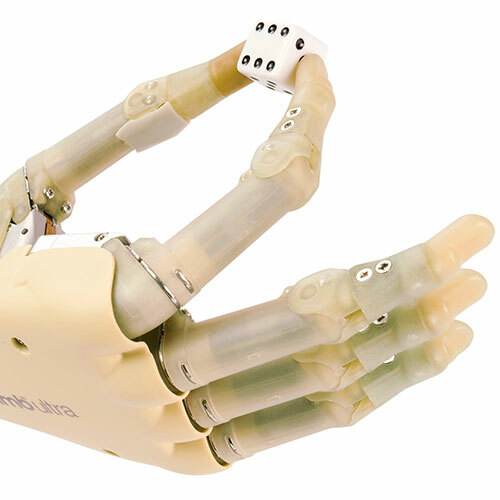 It's designed to replicate as much of the functionality, dimensions, and range of motion of the human hand as possible. 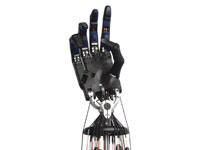 The Shadow Hand is made of plastics and aluminum. 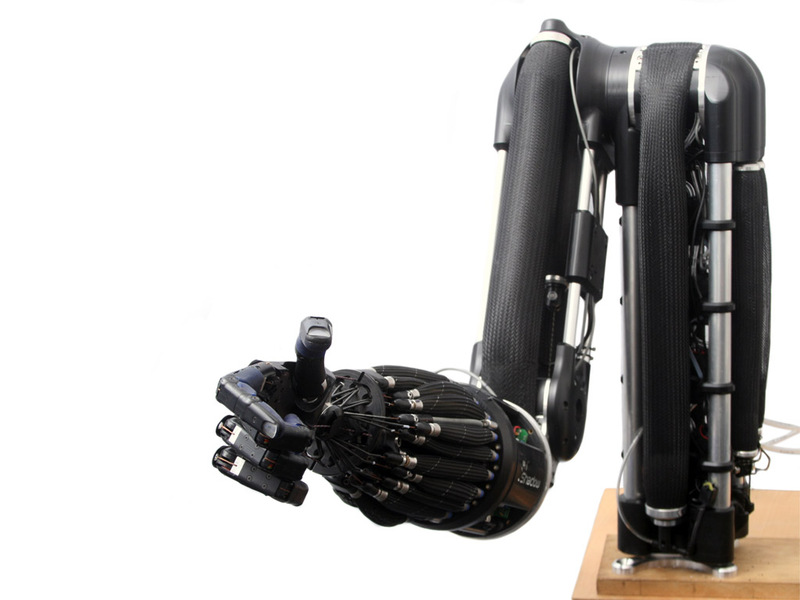 The hand is powered by tendons. 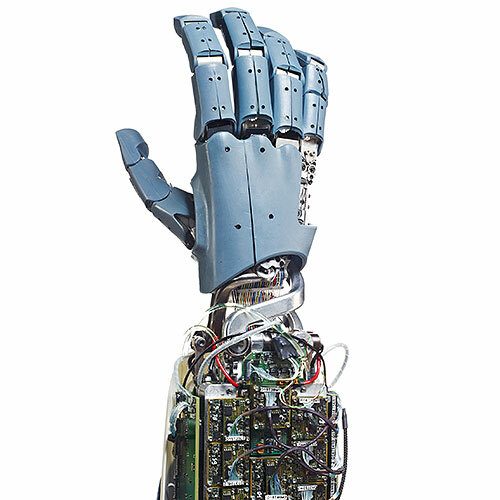 The hand attached to a biomorphic arm. 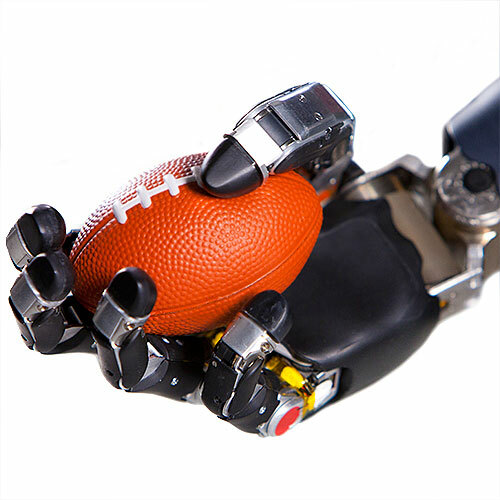 Old Shadow Hand greets new Shadow Hand. 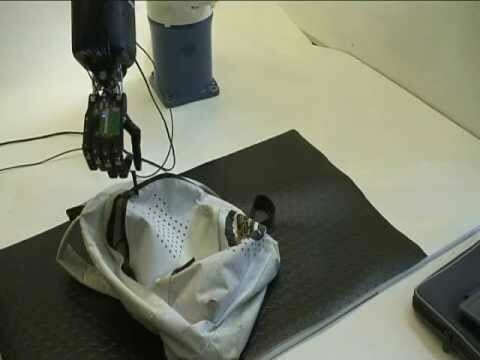 Shadow Hand threads a needle, uses a power drill, and more. Hand picks up an egg, scratches someone's head. 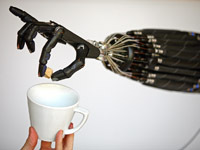 Denso arm and Shadow hand make coffee, use a knife. 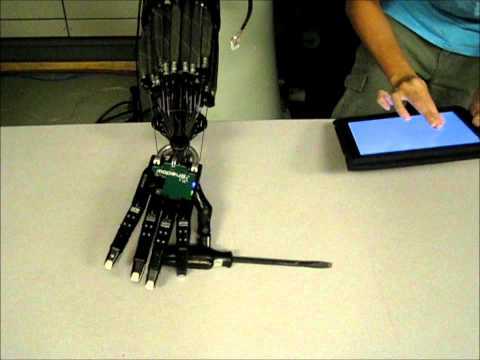 Teleoperating the Shadow Hand with an iPad. 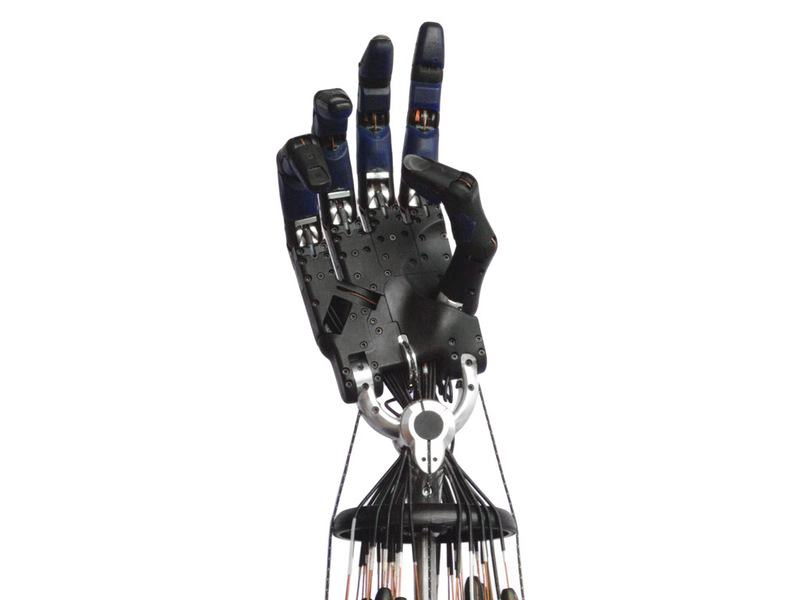 The Shadow Hand can be powered by either air muscles or electric motors. 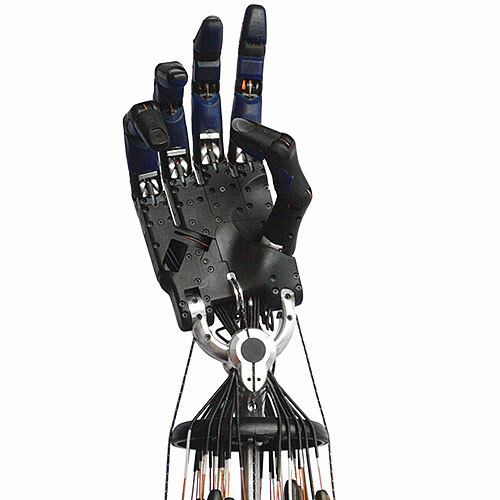 The Shadow Hand has 20 joints, and the movements of a human hand can be directly mapped onto it. 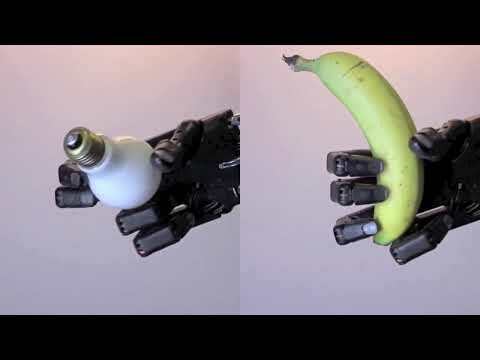 Anthropomorphic design mimics size, shape, and degrees of freedom of the human hand. 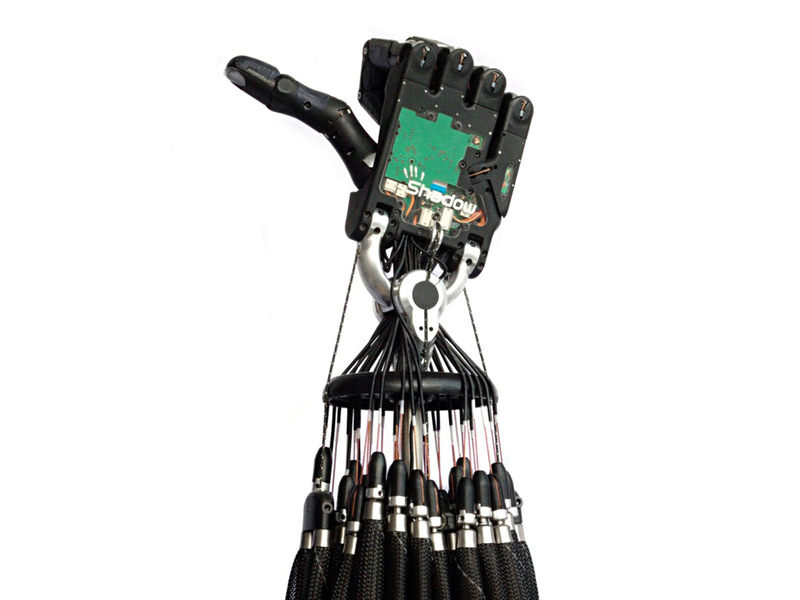 Equipped with position and tactile sensors in the hand. Six-axis gyro and accelerometer, joint angle sensors, tactile sensors, tendon load sensors, air pressure sensors (or current and temperature sensors when using motors). Air muscles or electric motors. 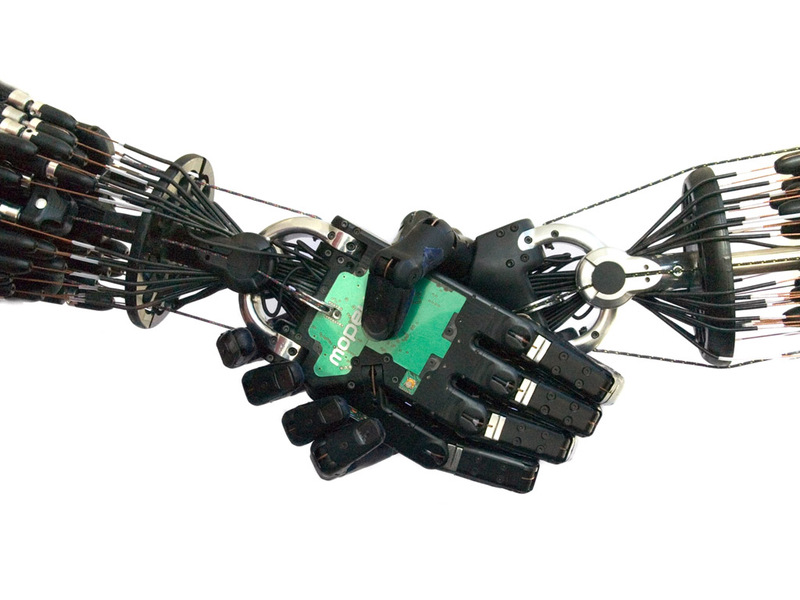 26 microcontrollers in the electric motor hand. 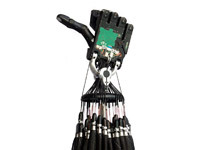 The air muscle hand has four microcontrollers in the base for the valves and one in the palm. Custom software. 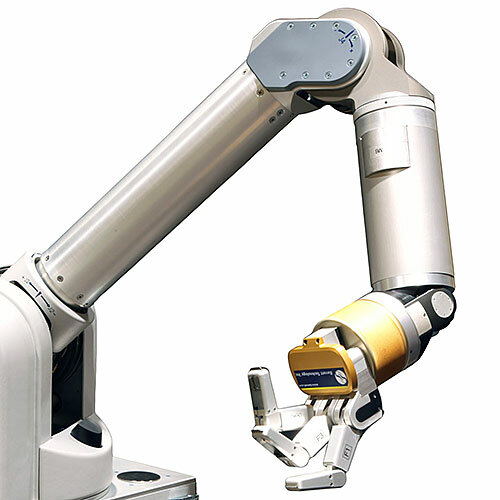 ROS (Robot Operating System) on the host PC.